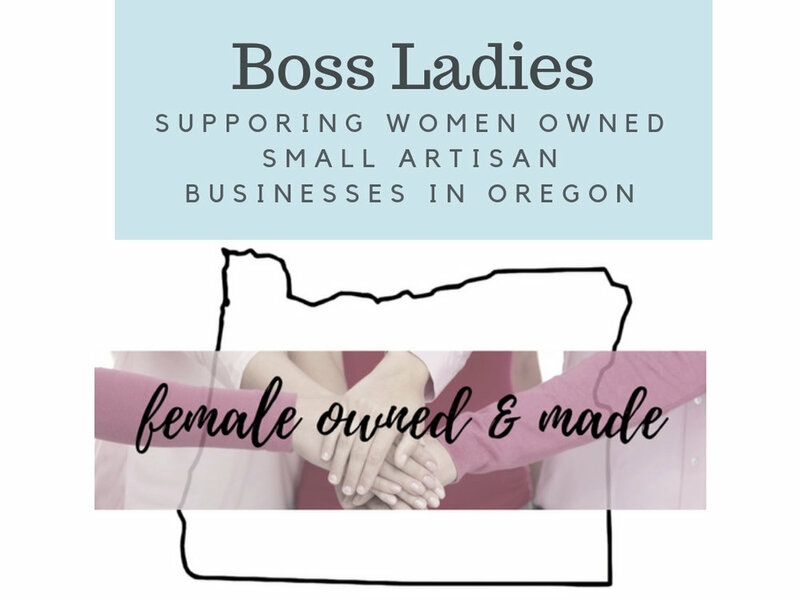 A gift basket or gift box presentation featuring gourmet artisan foods made by all women owned and family owned small businesses in Oregon. Choose to add in a bottle of Spindrift Cellars Pinot Noir or Pinot Gris. Choose to add 1 or 2 blocks of Face Rock Aged, Extra Aged, or Smoked Cheddar or Oregon State Creamery Pinot Noir or Porter Soaked Cheddar along with a box of Elki Water Crackers. *If shipping to East Coast or during Summer months, Expedited Shipping is required for this option. We will customize and personalize the contents of this gift to your desired color scheme and theme. We can design to the occasion such as Birthdays or holidays. Or, we can design it to their particular interests such as dog lover or outdoor enthusiast. No theme? No problem! We will design a beautiful gift based on your color preference. Let us know the details during check out when you can even choose a custom hand stamped message of encouragement, love, or inspiration. 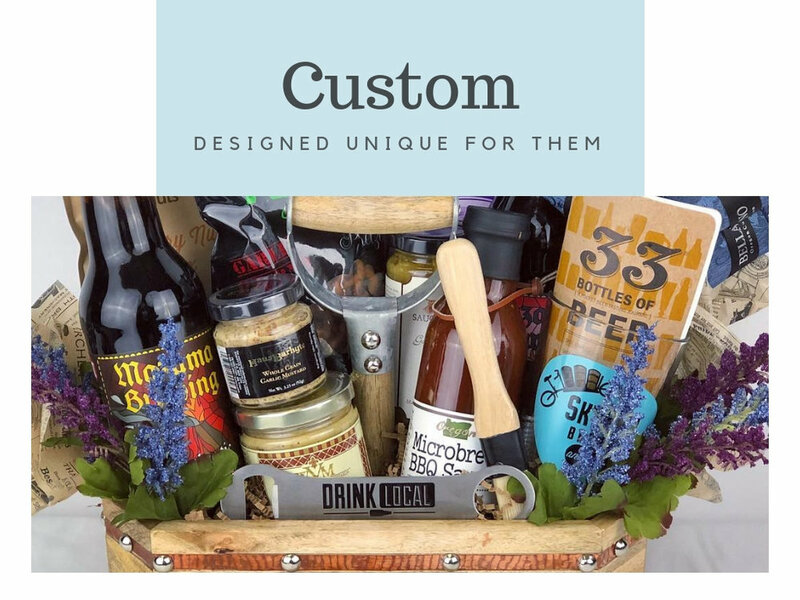 We will customize your gift box to represent your gift giving occasion or any interest they might have. Got a business? We can incorporate your branding, too! Check out or Corporate page or contact us to find out more about our free corporate logo ribbon!